Did you know the Alamo is actually a nuclear facility? Just kidding. It's not. That is a building located across the street from the Grand Hyatt, San Antonio. I'm sure it's really a barbeque vent of some sort. 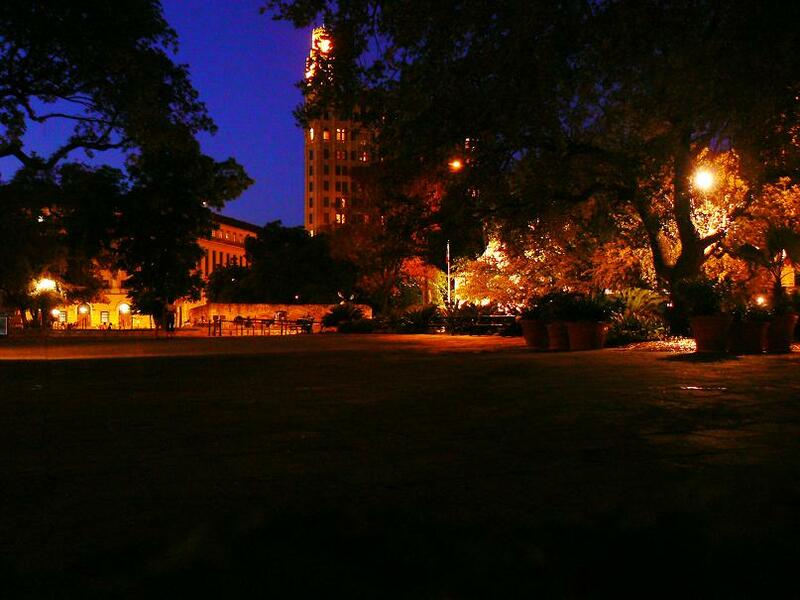 =) One night we decided to go check out a ghost tour that met in front of the Alamo at 8PM. During the course of an hour (after 8PM) the group formed as we discovered that we were all waiting for the ghost tour guide. 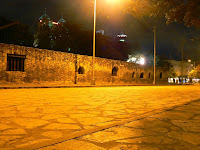 All said and told, the only thing intangible and ghostly was the guide who didn't show up so we opted to walk around and take some photos of the Alamo. My girlfriend and I spoke with the ranger who was on guard at the Alamo and he was helpful in sharing a few of his stories of the Alamo and of the adjacent hotels. This happens to be the creepy shot of our Texas trip.